For example, with the Active Softest Shell Jacket, Stedman® introduces a versatile lightweight jacket for all-year outdoor activities. 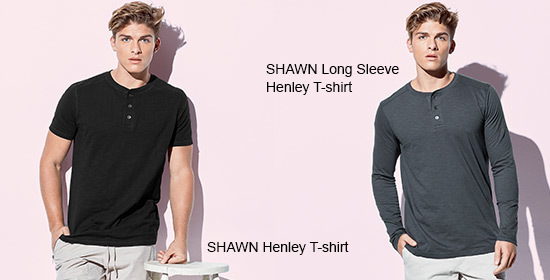 Men can look forward to a variation of modern Henley T-shirts, three short or long-sleeved styles with a 3-button placket. The Finest Cotton-T debuts as an ultralight T-shirt with a premium look and feel and high elasticity. In 2017, we do not only showcase our latest collection, but take the opportunity to introduce our new modernised brand logo, transferring the well-known ellipsis in vibrant Stedman® red to a refreshed form.